Single sign-on, or SSO, is one of the best solutions for managing account access and mitigating the problems caused by the growing number of apps and logins. When applied at an enterprise level, Single Sign On has had a meaningful impact on businesses by reducing SaaS licensing costs by 30%, eliminating redundant processes, and streamlining workflows for onboarding and offboarding. Let’s break down what SSO means and how it can benefit your company. Single sign-on utilizes just one set of login credentials to access multiple applications. This type of authentication process is a response to the growing number of user accounts and the shift towards cloud technology. 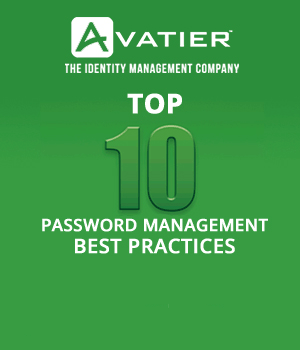 As the average number of passwords per person grew from 6.5 in 2007 to 27 in 2016, users looked for ways to streamline their logins. SSO is useful for just that. Instead of entering a username and password for each account, SSO streamlines logins so users only need to enter their login credentials one time in order to get access to their many accounts. From a user’s perspective, the major benefit of single sign-on is convenience. Users no longer have to struggle with multiple passwords and remembering which one is for which account. The secondary benefit is productivity. If available apps are easier to access, users will save time throughout their workday, and available tech tools will be used more effectively. From a security perspective, the benefits of SSO are twofold. Implementing SSO reduces risk because having only one user access point minimizes the likelihood of employees using simple or easy-to-crack passwords. Implementing SSO is also a part of compliance protocols. It can streamline the initiation of terms of service agreements and store them to comply with IT audits. From an IT perspective, SSO reduces help desk costs. With 30% of help desk calls being requests for password resets, a single login reduces the number of authentication problems. Additionally, SSO helps with user management because tech staff can easily create, delete, or edit accounts across multiple systems. Implementing SSO has many benefits for users and administrators, but it does come with some tradeoffs. Primarily, funnelling logins through a single channel means that if the SSO password is cracked, then malicious players get access to multiple accounts. To mitigate these risks, a proper implementation of SSO is paired with identity management and access control solutions. It’s also recommended that users login with multi-factor authentication so as to be sure that their access point is secure and their identity is confirmed. A comprehensive solution for user access and identification creates a streamlined and secure system. After implementing Avatier SSO, companies have reported that they have reduced costs, increased user productivity, and increased security. IT managers have used SSO to achieve compliance as well as maintain directory control and password synchronization. Features of Avatier SSO include membership groups, or categories of permissions that make it easy to manage access as employees are hired, change roles, or leave the organization. There is also the option to mandate SSO usage so you can ensure that all users are using the single-channel login. Additionally, by funneling all logins through a single portal, account access can be effectively monitored, and license usage can be audited for business optimization. Avatier SSO also includes license analytics so app usage results can be accurately reported. This enables smart spending decisions and an average of 30% savings on SaaS costs. Another feature is a customizable user experience where users can hide, remove, edit, and organize their SSO applications. Options for advanced customizations include setting up frequently used applications to auto launch after user sign-in. 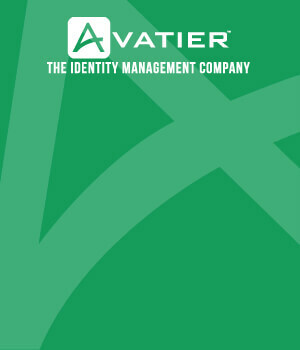 Avatier SSO also allows for integrated identity and access management for easy integration with Avatier’s full IAM system.